Testerworld Limited, (trading as the DE Group in England, Wales and Northern Ireland), is one of the UK’s leading independent pharmaceutical wholesalers. Our main activity is the distribution of prescription pharmaceuticals to over 3,500 independent community pharmacies from 7 strategically based distribution locations. The DE Group is a trading entity, and the principle employer within the Converse Pharma Group. 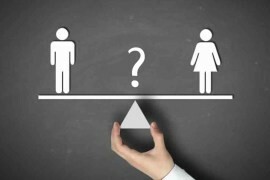 All companies with 250 or more employees are now required to publish their gender pay gap under new legislation that came into force in April 2017. Employers have to publish the gap in pay between men and women on both a median basis (pay per hour based on the person ‘in the middle’ of the distribution of pay) and a mean basis (average hourly salary). In addition, employers are required to disclose the distribution of gender by pay quartile – in other words splitting the workforce into four groups based on their pay, and showing the proportion of men and women in each group. Employers are also required to disclose percentages of staff receiving bonuses by gender and the gender gap on bonuses. Gender pay gap Vs Equal pay. This gender based pay analysis is significantly different to, and not be confused with equal pay. UK law has since the 1970s prohibited the paying of different amounts to men and women for doing “work of equal value”, i.e. the same job. This gender pay-gap analysis takes into account all jobs within the business, and analyses the difference between the average mean or median hourly earnings of male employees and female employees, expressed as a percentage of the average hourly pay of male employees. This means that a positive number indicates men earn more than women; a negative number will mean the reverse. Median: The middle most salary. Line all salaries up from highest to lowest and the median is the salary in the middle. Mean; The overall average. E.g add up the salaries of all male employees and divide by the number of male employees in the company to get an average or “mean”, male hourly pay rate. Understanding the results; A positive number would indicate that male employees earn relatively more than female employees, a negative number would indicate that female employees earn relatively more. National average; The national gender pay gap as published by the office of national statistics 2016, is +18.1%. i.e on average men earn 18.1% more than women. Gender profile by pay quartile. Testerworld’s gender pay gap at 31st March 2017 as presented on a median basis is -32.8%. i.e The average hourly pay of our female employees is 32.1% higher than the average hourly rate of our male employees. This figure represents a significant variation from the +18.1% national average. The breakdown of gender prolife by pay quartile does help to provide a rationale and understanding behind this headline number. The profile of roles within the organisation can be broadly split into four “groups”,; warehouse operatives, distribution (driving) personnel, commercial employees (buying and sales) and managerial roles. Numerically the highest proportion of roles occur within the warehouse and distribution functions. 64% of these employees are male and these roles are also predominantly to be found in the lower two pay quartiles. We are comfortable that an equal opportunity, gender neutral approach to recruitment within these quartiles is in place, and that the proportion of male employees is reflective of the gender split within the application pool. We will however undertake a review of our approach to the creation of the application pool, to ascertain if it may be modified in any way to attract more female applicants. 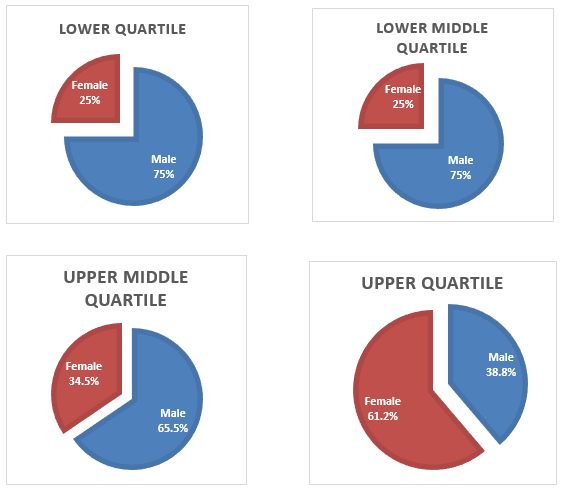 The proportion of female employees in the upper and upper middle quartiles does increase considerably, with over 60% of roles in the upper quartile being undertaken by female employees. As indicated previously, the roles within the upper quartiles are predominantly commercial and managerial functions. Again, we are comfortable that an equal opportunity, gender neutral approach to recruitment within the upper quartile is in place. We cannot identify any numerical gender bias towards females in the recruitment process, and therefore the subsequent application pool. Following analysis we do believe that the predominance of female employees in the upper quartile is a fair reflection of the quality of applicants for each role, and that appointments are not influenced by any gender bias. The higher proportion of female employees in the commercially driven upper quartile roles, such as sales, buying and senior management, compared to the male dominated lower quartile roles, helps us to understand the reason behind the relatively high proportion of female employees who are in roles that attract a bonus payment, (47.3%), compared to 10.9% of male employees. Again, we are comfortable that the underlying rationale behind this disparity is outlined above and is consistent with an equal opportunity, gender neutral approach to recruitment. The mean bonus payment to male employees is significantly higher than the mean payment to female employees (47.9%). However, the business has over 3 times the number of female employees receiving bonus payments compared to male employees. Some of the bonuses at the lower end of the payment range are made to administrative functions that are predominantly female. Comparing the smaller male bonus pool, on a like for like basis with female colleagues, the mean bonus is 8.91%. On review of the bonus structures, we can confirm that such incentives are implemented on a role-by-role basis, with no gender bias, and that bonus structures are flexible, with an earning potential that is not inhibited by gender. We will continue to monitor the progress of our Gender Pay Gap data, and implement any actions outlined above. I confirm that the data provided is accurate and meets the requirements of the Equality Act 2010 (Gender Pay Gap Information) Regulations 2017.